JUST WEEKS AFTER the garda commissioner faced further calls to open an inner city garda station in Dublin, it looks set to be assigned a new anti-burglary unit. 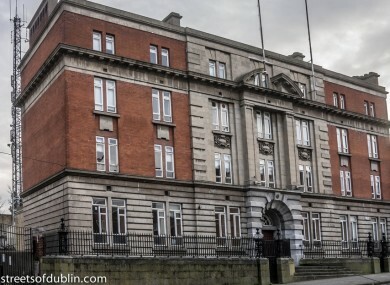 Fitzgibbon Street Garda Station, located between Mountjoy Square and Croke Park, was closed for refurbishment two years ago, with gardaí being moved to the nearby Mountjoy Station while a small number remained in an adjoining building. Local independent councillor and former lord mayor Christy Burke has said the continued closure of station is an “insult” to the local community. However, there are signs it could be stirring back to life. In a letter to local residents, Burke said he had been informed a new anti-burglary unit will be assigned to the station, consisting of one sergeant and seven gardaí. The station, dubbed Fort Apache, is seen as a key station for inner city policing, located between Store Street and Mountjoy stations. While the garda commissioner is facing political pressure to bring Fitzgibbon Street back to full operational capacity, locals residents also believe it would benefit the area. Bernadette Manning from the Mountjoy Square Society said local residents will be “thrilled” to have any increase in garda presence in the area – “the more the merrier”. “We were devastated when they closed Fitzgibbon Street down,” she said. She said there is a noticeable decrease in anti-social behaviour around Mountjoy Square when more gardaí in the area, but that it the presense is sometimes inconsistent. Manning said the Society is calling for the full station to be reopened as soon as possible. Email “Is this key Dublin garda station coming back to life?”. Feedback on “Is this key Dublin garda station coming back to life?”.